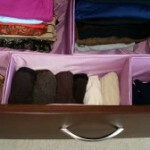 5 Tips on Being Organized! It is the beginning of a new year and now is a good time to start thinking about how you can become organized for year 2014 and after. Here are 5 Tips on How to Start the New Year off Right by Being Organized! 1. If you don’t already have one, buy a 2014 daily organizer or use an electronic one. Myself, I still prefer the old fashion way of using the soft copy planner that is big enough to write appointments, meetings, and important information in. Most planners have a section that you can add phone numbers and other important information as well. Although some people keep their contact information in their electronic devices, I tend to use the soft copy calendar for important phone numbers in addition to my cell phone because if anything were to happen to my cell phone, I would be lost without the information. Get organized early and fill in your calendar with all your important information as soon as possible. 2. Keep pens, your daily organizer, a calculator, a note pad and anything else you may need right beside your home phone. If you do not have a home phone and only use a cell phone, then put them all together in one spot that is easy access. You never know when you will get a call from your doctor, financial advisor, accountant etc. and will need your items. Put your appointments in your calendar right away and not on a piece of paper that may end up being lost. 3. Have your banking, life insurance, pension plan, estate planning etc. information together and in a safe place. Tell at least one close relative or friend whom you can trust where the information is. Have all the documents organized with the contact names of your financial advisor, life insurance agents etc. handy in case it is needed. The information is not only important for estate planning but for you to have easy access to as well. 4. Buy holiday, birthday, get well, thank you, invitation, sympathy, anniversaries, blank cards etc. ahead of time. Store them in a binder or box with dividers for easy access. This will save you a lot of time and stress of having to go out and buy cards at the last minute. 5. Did you buy or get new clothes for Christmas or New Years? Do you know the rule of thumb when it comes to getting clothes? One comes in and one goes out! For every new item you bring into your closet, an old item is supposed to go out. Go through your old clothes that you do not wear anymore (or at least get rid of the same number that you just brought in) and donate them or give them away to someone you know who can use them. Hope these little tips helped and if we can be of any assistance at Second Set of Hands, please let us know. We provide home/office organization and concierge services – errand running, personal shopping, home wait service – for the repair/delivery person, home watch service and so much more. Visit our website at www.secondsetofhands.ca or call us at 613-454-5706.
https://www.secondsetofhands.ca/wp-content/uploads/2014/05/Get-Organized.jpg 194 259 Kathy McEwan http://www.secondsetofhands.ca/wp-content/uploads/2017/12/logo-800x267.png Kathy McEwan2014-05-02 12:40:222018-01-30 18:45:255 Tips on Being Organized!